This guy's CLSN boxes gave me nightmares. - Updated with hi-res effects. - Fixed A LOT of CLSN problems. No more hittable cape! - Updated with a better corner push system. - Normals no longer deal cheap damage on block. - Fixed all infinite juggling problems. - Many huge changes to make his playstyle actually have senses. - Launcher now cancels into Flying instead of Super Jump. - Flying duration no longer resets whenever Steel attacks. - Flying duration reduced from 700f to 400f. - Now has a proper damage dampen system. - Rivet Cannon's projectile now can be destroyed when hit by other projs. Bizarro_Toro for the based character. kairuier, Nep Heart, Kamekaze, SeanAltly, DANIEL LINHARES and RicePigeon for the huge amount of coding works, effects as well as gameplay references. 1.0 version has been released! Much inferior compared to 1.1 one so go get MUGEN 1.1 guys. I really like what you've done with the character. I thought the Bizzaro_Toro version was alright, but you've taken it to the next level. Also, making Steel's charge safe on block turned out to be a bad idea it seemed. - Fixed some sprite mis-priorities. 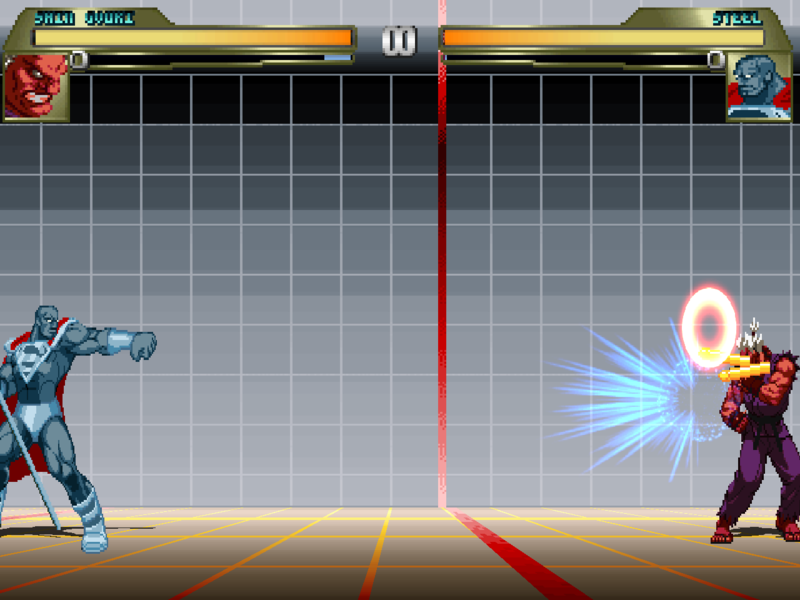 - Iron Will now can only hit once per combo. - Hammer Time's recovery increased by 20f. - Iron Will's guard time reduced by 11f. - Ground AmerTek Charge's guard time reduced by 14f. This is a quite nice read. 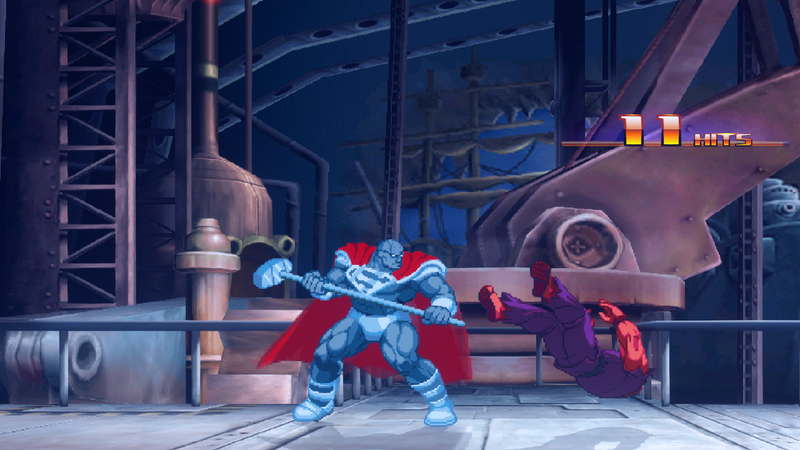 - Fixed a glitch that makes AI select weird palletes during Arcade Mode. - Readjusted all get hit hurtboxes. - Launcher's damage reduced by 10. Power gain/give is adjusted with the new damage value. - Iron Will's recovery increased by 5f. - Smart Hammer's recovery increased by 5f. If you parry his arm rockets, they bind to you and the sprite stays there for a few seconds doing nothing. I can fix the first problem easily though but not sure what really triggers the second issue. Do you have any clues about which move triggered it?